Why Engineering continues to be the biggest draw for students? About 1.5crores of engineers every year, pass out from various institutions across the country. Most of them not only walk out with fancy degrees, but also pass out with jobs in their hands. There may be numerous career options in front of the modern student today, but engineering continues to rule the roost. The last few decades has seen numerous colleges mushroom across the length and breadth of India. The engineers who have passed out have made a name not only for themselves but for their respective institutions. Engineering as a profession has given tremendous boost for the economy of our country, and not surprisingly—India today grows at a frenetic pace to be in sync with the world’s Numero Uno economies. Parental influence: Most of the students who opt for engineering as a career are influenced deeply by their parents who would have had fledging engineering careers. Ambition: Some of the biggest inventions in the world have been born an offshoot of an engineer’s mind. Be it Wright Brothers putting in place the world’s first flying machine or Thomas Alva Edison giving birth to light---engineers have always been part of the folklore. For any student---getting to know the exploits of these legends through textbooks or other mediums---fires up their engineering mind. Inspiration from near and dear ones: Be it your sister/distant cousin who took up engineering as a career choice and has done well---students continue to be flummoxed by this profession and those associated with it. Career prospects: The great recession or the slowdown of the economy does not necessarily affect the way students approach engineering as their chosen careers simply because the pros are much more to digest than the cons. 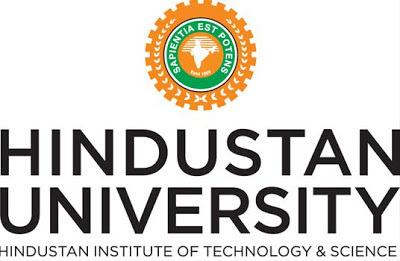 The Indian education sector and our economy has risen to dizzying heights in the last 5-6 decades simply on the strength of those tireless engineers who have continued to be present in all walks of our lives—from building structures to designing the next best thing in the field of Information Technology. With prestigious colleges such as the IITs, NITs, HITS churning out engineers each year, they are nothing but the building blocks of a nation that is all set to take the next step in its path to match the might of the big guns of the globe.